Buy All-in-one Brother DCP 130c with CISS with CISS and make 30 times more quality prints for the same money! Pay only 0.04 USD for A-4 full color print! Brother printer DCP-130C means is a multifunctional unit developed by the Brother вЂ“ a Japanese company, which is famous in America and Europe. 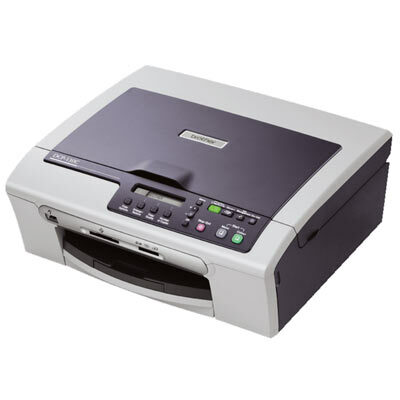 The model Brother DCP-130C includes a scanner, a printer, and a copier in a very compact device. It is made for common office and all people who wish to have not big, but quite effective equipment at home. You would better also take a glance at the construction of inkjet printer Brother DCP-130C. It includes the neat look and elegance, as well as its small sizes let it be suitable any accommodation well. The multifunctional printer Brother dcp-130c have all the desirable features of inkjet kind of printing, and are well recognized for their highest quality. In addition all the good features of the printing, the DCP-130C printer acts like a scanner showing the same excellent results. Scanning option is very productive, the speed of scanning is 4 seconds for monochrome mode for A4 pages, and 6 seconds for colorful pages. The color depth of 36-bit color lets to get prints of the same quality like the original ones. The image scanned may be immediately saved to a memory card. Copy option allows to use such functions such as the image zoom with 1% increment, copy of numerous pages on one sheet, color copy with highest resolution. Brother printers DCP-130C has an incremented card reader which can support most of flash cards. New investigation in this model is the menu PictBridge and its appearance, owing to which we can make direct working with mobile phones or digital cameras. This option lets you connect the MFD and any compatible device, to choose the images necessary to you, and send them to the printer, defining the printing settings which you want. In case when you are searching for an excellent MFD for long use we will advise you to pay attention to Brother DCP-135C and Brother DCP-330. Like in any inkjet device such as the Brother dcp-130c wireless all-in-one inkjet printer, the consumables for it cost a lot, and the replacing of cartridge units demands as additional means as time to spend. 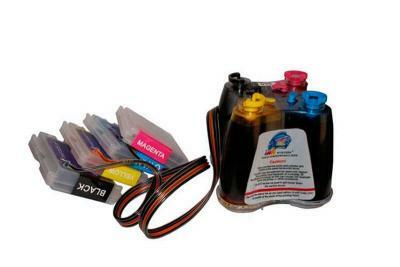 The INKSYSTEM company will offer you an brilliant solution for this task − Continuous Ink Supply System (CISS). This system installation will save on copying and primting more than in 30 times. CISS does not influence the arrangement of your printer, so it will not make the quality of prints worse and will not induce any problems during the device use. The Brother DCP-130C printer is a trusted help for office and home. The combination of its performance and features with small dimensions makes it a necessary equipment at the among other office techniques sold. Nowadays the Brother machines are in demand and very popular, office technique Brother acquires grateful evaluations from the customers from all over the world. It also well sold and used in such places as New-York, Boston, Los Angeles, Chicago and others. Unit Weight (lbs) 15.4 lbs.